Partly cloudy. A stray shower or thunderstorm is possible. High around 75F. Winds S at 15 to 25 mph.. Scattered thunderstorms early, then mainly cloudy overnight with thunderstorms likely. Low 56F. Winds SSW at 10 to 20 mph. Chance of rain 80%. Many homeowners can relate to the cat or dog dish getting kicked in the kitchen and water and food everywhere. Now, there's an innovative and highly stylish home solution. The Neater Feeder is a revolutionary new feeding system that contains spills and splashes. The two-part container allows food to stay in the top reservoir while water drains into the easy-to-empty lower reservoir, protecting floors from stains and damage and making cleanup a snap. The Neater Feeder is kick-proof, easy to clean, and comes in beautiful finishes and small and large sizes to suit all breeds and also cats. 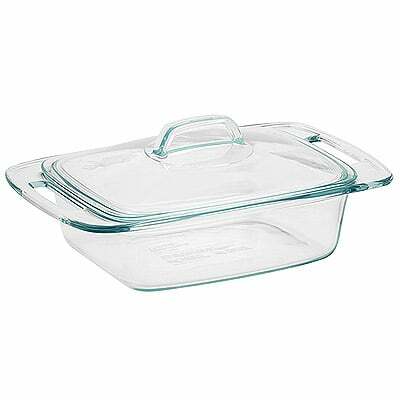 A great addition to any kitchen, this clear glass dish and convenient lid called the Pyrex Easy Grab 2-Quart lets you easily keep an eye on how your cakes, breads, casseroles and more are heating. Versatility makes it easier for you with these cook-and-serve-in-one dishes that go from the oven to the table. Use them for dry or refrigerated storage and microwave reheating and enjoy maximum functionality with minimal mess. Designed with handles and soft contours for easy cleaning and made with a non-porous glass that won't absorb stains or odors. Started in 1999, kai offers a vast and exotic line of products ranging from lotions and creams to fragrances, candles and bath needs, all sold at exclusive boutiques and spas all over the world. With many famed devotees such as Jennifer Aniston, Julia Roberts, Charlize Theron, Reese Witherspoon, Jennifer Garner and Naomi Watts, the line has earned a reputation of offering only the best for any needs.